Wow! Now that’s gold. Not that cheap gold-colored anodizing. 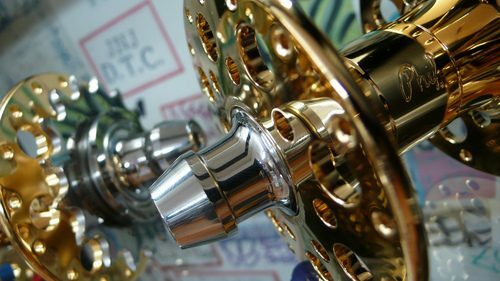 Legit gold-plated Phil Wood 3.5 series track hubs have arrived at Mobius Cycles.